231st Infantry Coy, Machine Gun Corps, E.E.F. James Pressdee was born at Cradley, Herefordshire in 1889, the son of Joseph Pressdee a wine merchant’s porter and his wife Annie. He probably joined the Malvern Company of the 2nd Volunteer Battalion, The Worcestershire Regiment, which in April 1908 became C Company, 1/8th Worcesters. 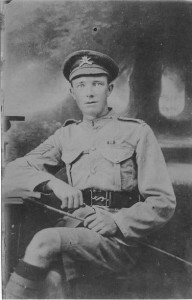 At the outbreak of war, he was a sergeant and a member of the Machine Gun Section. Corps was formed, and the members of the MG Sections of the four infantry units of the 144th Brigade formed 144 Infantry Company, MGC. 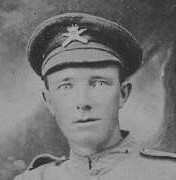 Sgt Pressdee was Mentioned in Despatches and won the Military Medal for action on the Somme, though it is not clear for which action these awards were made. In February 1917 the Malvern News reported the award of Sgt Pressdee’s MM, and noted that he was now in a Liverpool hospital suffering from trench fever. After his recovery, he was posted to 231st Coy which joined the Egyptian Expeditionary Force in June 1917 – he visited his mother and family before he left for Palestine and told them that he didn’t think he would return home again. This was unfortunately the case, as on the 24th November he was killed by a piece of shrapnel. “I feel I must write and tell you how greatly we all miss you son and offer you our deepest sympathy. I was in command of his section at the time he was killed; in fact I was by his side. Your son was in an advances position, repelling a Turkish counter attack and doing most excellent work, when he was struck in the back by a big price of shrapnel, being killed instantly. He was buried at the battlefield by a party of the Scottish Rifles and a cross has been erected over his grave.